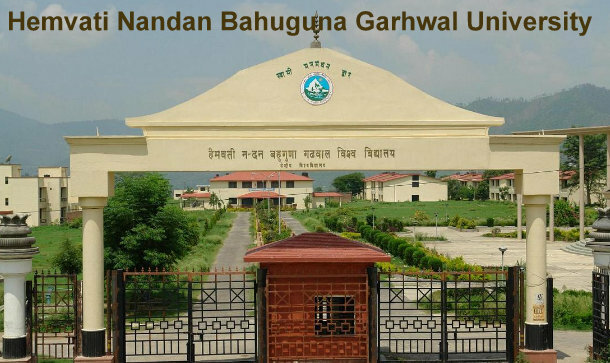 Hemvati Nandan Bahuguna Garhwal University (HNBGU ) shall holding the Counseing in the premises of the HNB Garhwal University as detailed in the Tabular Form. Those students will successfully cleared the entrance examination then they will be go for Counseling schedule for admission in various course. The students will take their admission in various course for seat allotment in vacant seat by attending the counseling rounds. The completion of Entrance examination the candidates will be called for the counselling/interview as according to the merit rank on dates of which details will be made available to the candidates through post or official websites of HNGPU. As according to the rank they will be given the choice to choose their college, course. Counseling will be done offline or Online for the all eligible candidates. At the time of counselling candidates must carry the all documents and certificates which have been mentioned below. After the documents verification, candidates will have to go through to medical examination test. Selected candidates will have to pay the Enrollment fee to confirm their admission. After the final results of the entrance test, university notifies the counseling dates through the public notice on the notice board and university website. All colleges release their cutoff through several numbers of counseling. For all counseling details, students shall be at the counseling venue to confirm their seats in any particular college in particular course. Students can visit the university website for all information regarding counseling and seats in colleges, courses, and fee for the courses. After all counseling process, University will release the final Merit list of the candidates. We would bring further Updates on Counseling Schedule for admission in Post Graduate Programs as and when we hear from Hemvati Nandan Bahuguna Garhwal University Admission Committee. Please provide hostel admission list of 2018 for undergraduate students . Dear Ambi, HNBGU law merit list will be issued at the soonest possible promptly through the official website. Pharmacitical chemistry ki concelling ki date kB thk aaygi ??? Original documents must be available for verification during the reporting. 5. Self-Declaration Certificate for gap year. is any information about the counselling of msc microbiology? When will be dates of counseling for msc Microbiology be announced? When we have to report for Pg admission in MSc Geology? Zoology ki counselling kab se start hongi ? Dear Khalad, HNBGU PG Entrance Result will be declared soon. Keep in touch with us for further updates.